Hello. 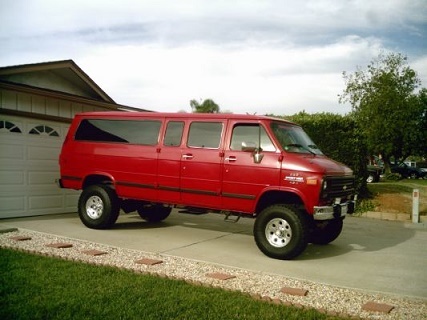 I am looking at purchasing a 1995 Chevy G10 project van. I would like to put larger tires than the stock tires but don't know how to go about this without lifting the van. Does anyone know the best way to lift a 2wd Chevy G-series van with out compromising the safety? Any help wpuld be appreciated. Thank you! DONT lift a G10 ... G20 or a G30 are the ones way stronger. A stock van if you have 225 tires you can go 245 with out lifting.